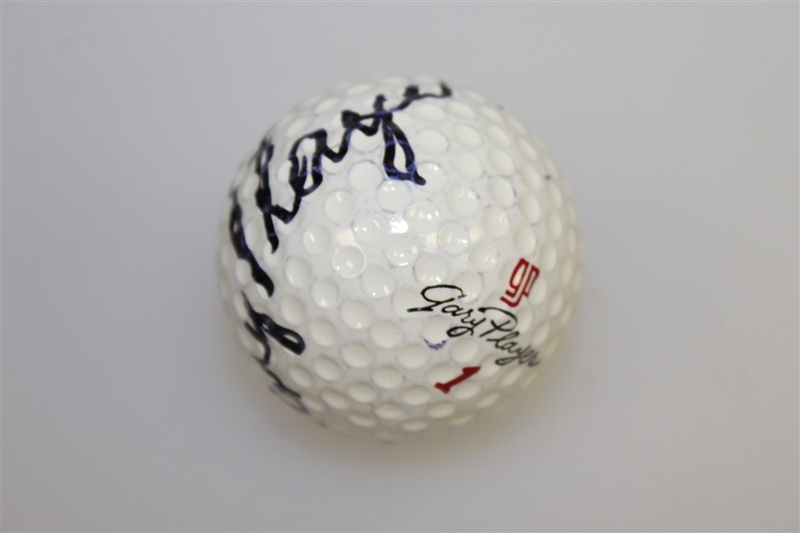 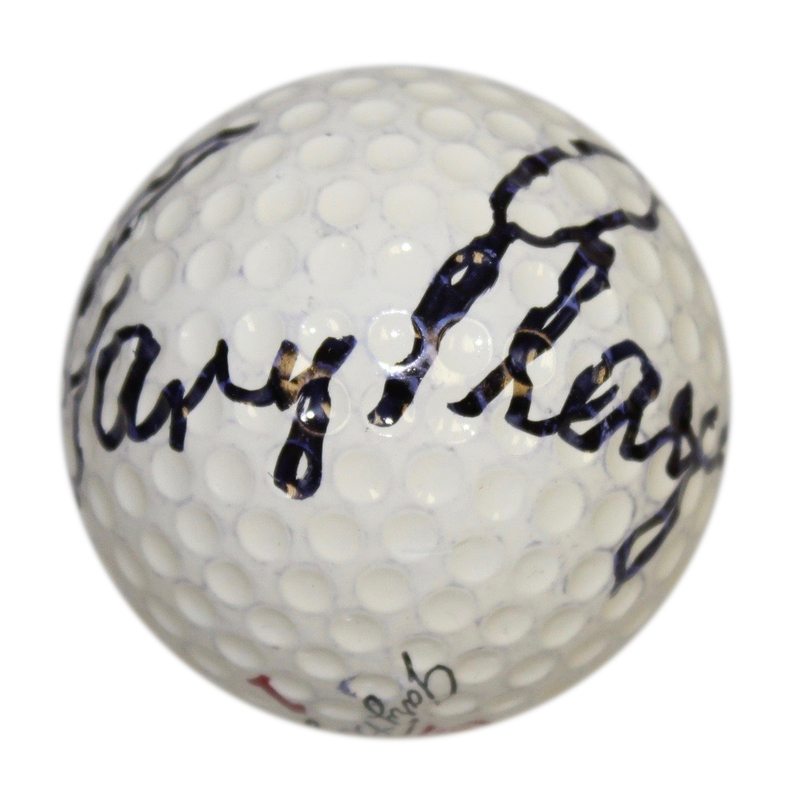 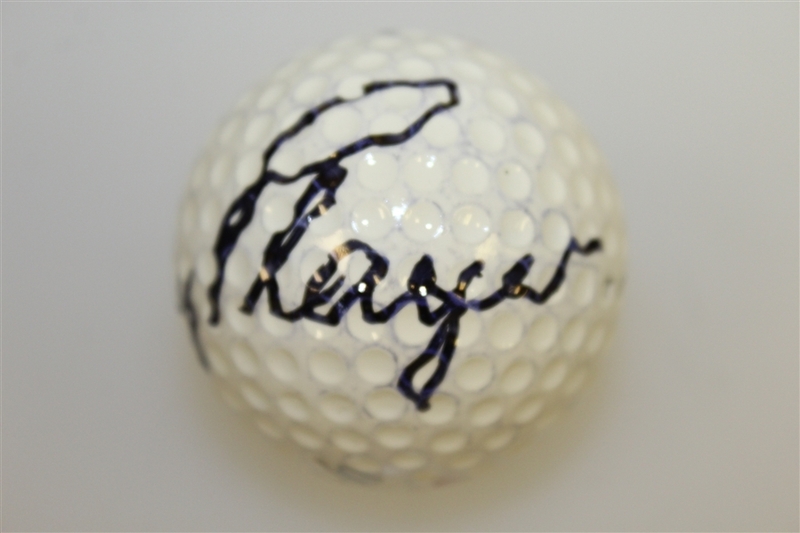 Nine-time Major winner Gary Player leaves his autograph on this golf ball in black marker. Player's nine Major championships is tied with Ben Hogan for fourth on the all-time list, trailing only Walter Hagen (11), Tiger Woods (14), and Jack Nicklaus (18). 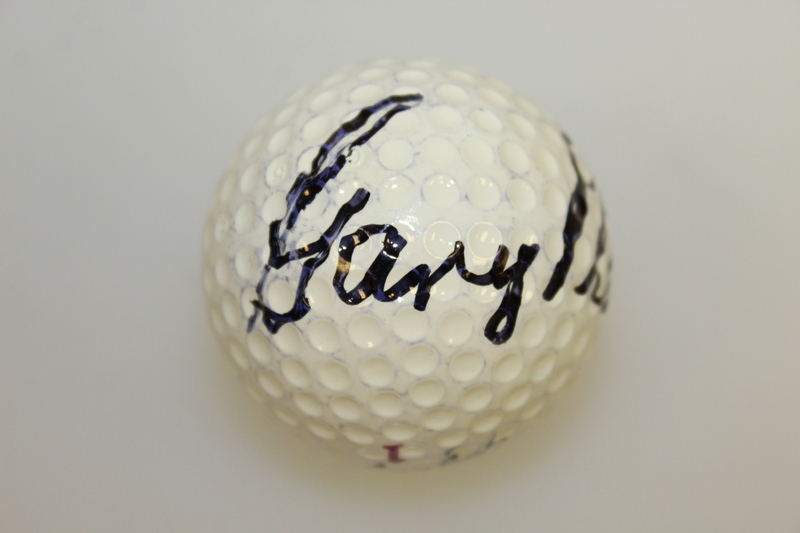 The South African golfer was one of golf's "Big Three" with Nicklaus and Arnold Palmer dating back to the 1960's and 1970's when they were largely responsible for the growing popularity of golf during the game's television era.